Virtually nothing to complain about! 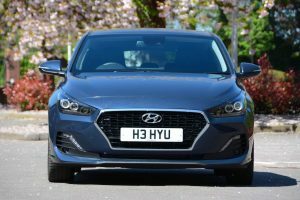 Hyundai has been continuing its progress; a long time ago the brand moved from ‘cheap and cheerful’ to competent, and now the company’s products have moved on again – right up there with the class-leaders. 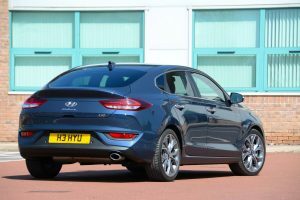 The Hyundai i30 Fastback looks good – it’s much better looking than the previous generation i30, it also has more attractive styling than the current i30 Hatchback, and it even has the appearance of more expensive, sportier models. 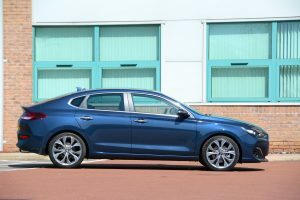 The interior is the normal Hyundai common sense approach, everything on the dashboard is clear, but it’s also well designed – and well equipped. 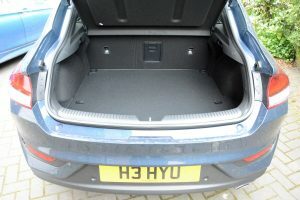 The i30 is also a decent size, although if there was just one slightly less than perfect area, that would be the size of the boot, which doesn’t have much depth, but there is a false floor that you can remove – so even that slight criticism has been answered. Our test car came with a 1.4-litre petrol engine and 6-speed manual gearbox. Let’s start with the basics: the driver’s electric seat allows lots of adjustment, so it’s likely that virtually everyone will be able to get a decent driving position. In other words, a big tick in the box. Once you’re underway, it doesn’t take long to become aware that the Hyundai i30 Fastback offers an excellent all-round driving experience. 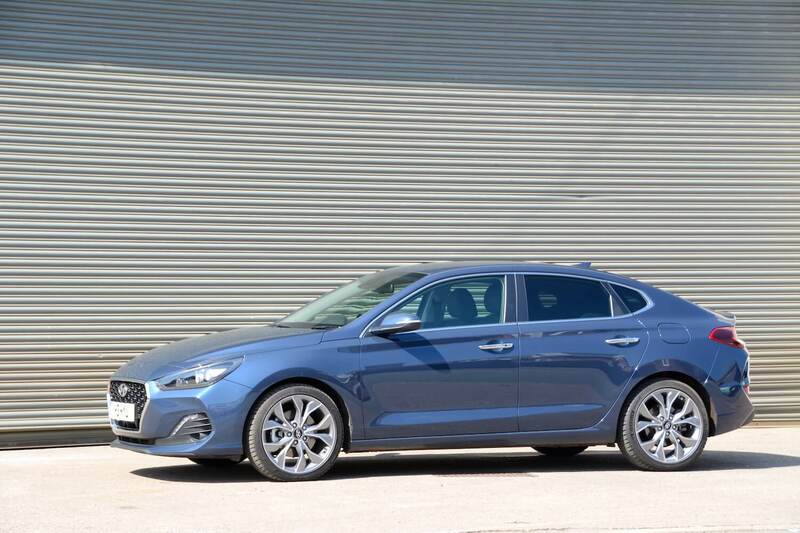 The engine is quiet, the manual gearchange is slick, the ride is comfortable, the handling feels agile, and the overall feeling is one of refinement. 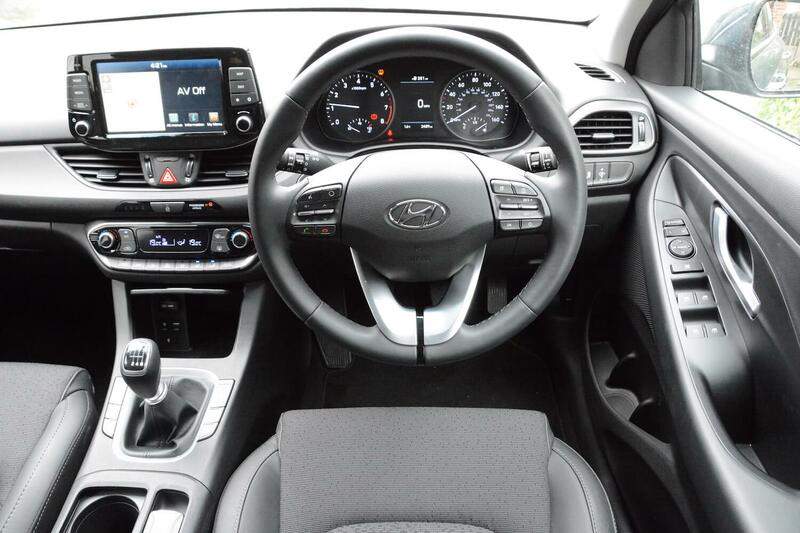 The dashboard has clear controls, the infomedia system works well, and the satnav is easy to use. 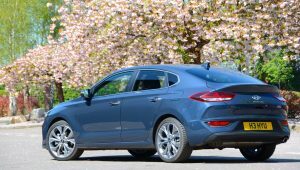 As regular Green Car Guide visitors will be aware, at this point in our reviews there normally comes a list – a fairly extensive list in some cases – of areas in which the car on test could do better. Typically, there are a number of things that can be annoying when living with the car every day. However there genuinely are no areas of the i30 that we would like to complain about. This could be one of our shortest reviews ever. 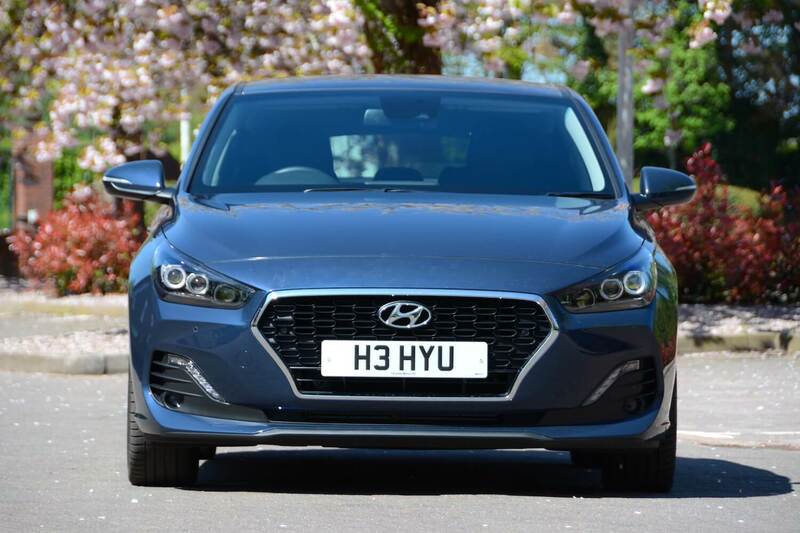 The official NEDC combined fuel economy for the Hyundai i30 Fastback Premium 1.4 Petrol T-GDi 6 Speed Manual is 49.6mpg, with CO2 emissions of 134g/km. After a week of mixed driving, but with our typical proportion of 80% motorways, we averaged 40.3mpg. This is perfectly respectable for a petrol car. 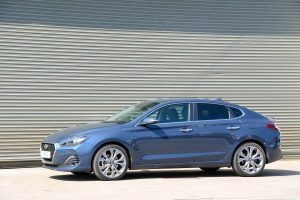 The Hyundai i30 Fastback Premium 1.4 Petrol T-GDi 6 Speed Manual costs £23,440, which is reasonably affordable for a family hatchback, although prices for the i30 Fastback start from £20,310. One other engine is available, a 1.0 T-GDi petrol, and a DCT transmission can be specified. Trim levels include SE Nav, Premium and Premium SE. 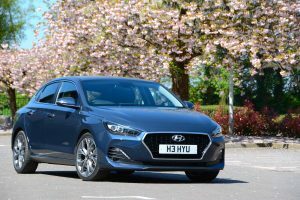 This review of the Hyundai i30 Fastback Premium 1.4 Petrol T-GDi 6 Speed Manual must be one of the briefest that we’ve ever produced in 12 years. Everything about this car is positive. 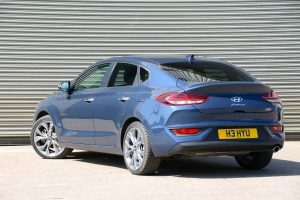 It looks good, there’s nothing wrong with the interior, it’s perfectly pleasant to drive, and the engine delivers a good balance between performance and economy. There is genuinely virtually nothing to complain about. The Hyundai i30 Fastback Premium 1.4 Petrol T-GDi 6 Speed Manual is therefore awarded a Green Car Guide rating of 9 out of 10. 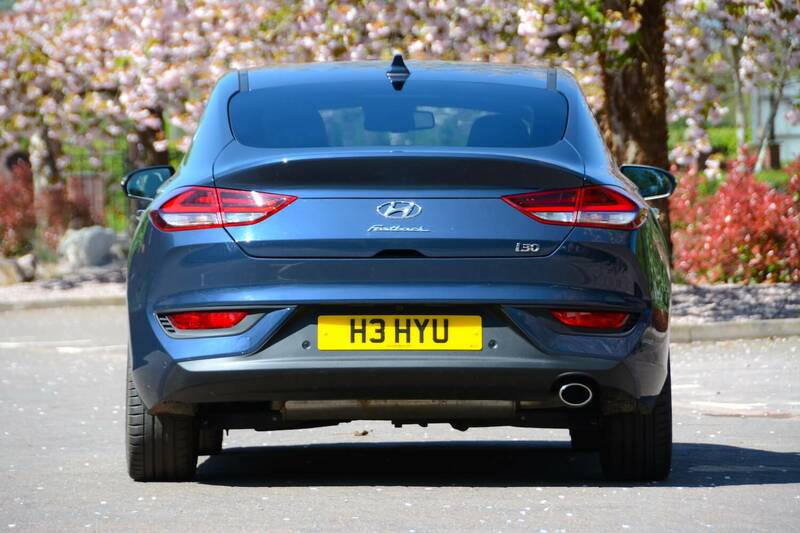 Being a petrol car, it still has emissions, so it would struggle to be awarded a higher score. 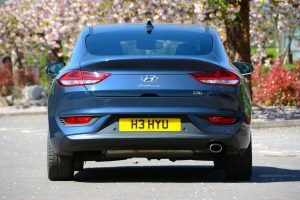 Perhaps it’s worth mentioning that there are many other cars out there in this class that have a number of areas for improvement that we would feel justified in highlighting. 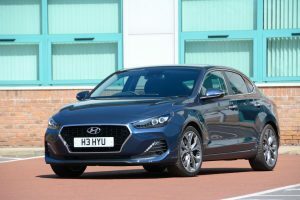 The fact that the i30 Fastback doesn’t have any such issues means that Hyundai deserves praise, but perhaps most significantly, it means that a number of other manufacturers should be worried – in some cases, very worried – about the rate of progress that’s being made at Hyundai.